Stuntwomen: The Untold Hollywood Story sheds light on the female pioneers in the field and the struggles they faced to have their talents recognized and appreciated. Stuntwomen have been around as long as the movies. Silent film stars Pearl White and Helen Gibson were actresses who did their own stunts. These early silent movie serials were extremely popular with the public and White and Gibson had large fan followings. However, once the movies proved to be a thriving business where there was real money to be made, many women and stuntwomen working in Hollywood found themselves unemployed. Once the Hollywood factory was in high gear, men doubled for women. Men would don wigs and dresses, essentially freezing out any chance for women to double for women. The few women who were working gags (the name given to stunts) were underemployed and underpaid compared to their male counterparts working the same gags. The stunt community was a small one (it still is) and if you weren’t a part of “the group,” you just didn’t get called for jobs. Author Mollie Gregory does a good job explaining the ins-and-outs of the stunt business and the problems women and men faced and continue to face today. Doing stunt work in movies has always been dangerous. Many performers have been permanently injured and some have died performing gags. The way Gregory describes it, some movie directors and producers considered stuntmen and stuntwomen as expendable. Gags that had been carefully planned out were often changed at the time of filming, putting the performer in peril. The dilemma: refuse to do the gag and risk ever getting another gig. This was something women faced when trying to break into the all-boys club. If a woman made a mistake or refused a gag they were accused of not being up to the task. Men would say things like, well, we’ll just get a guy in a wig to do it. The book also explores the difficulties minorities faced trying to break into the business. It was common for white stuntmen to do stunts in blackface when doubling African Americans. Today life for stuntwomen and stuntmen is still challenging and dangerous. I honestly couldn’t imagine myself working as a stunt performer. Everyday is dangerous and possibly life threatening, no matter how careful the planning. The history of stuntwomen in the movies is also a history of the movie business itself. The book explores the origins of the profession and how women competed with men to get the recognition and compensation they deserved. For anyone interested in behind-the-scenes Hollywood stories, Stuntwomen: The Untold Hollywood Story would be a worthy read. The film noir classic Mystery Street (1950) will screen at Glessner House Museum, 1800 S. Prairie Ave., on March 29 at 7 p.m. The screening is part of the Glessner House’s birthday celebration for Frances (Fanny) Glessner Lee, a multi-day celebration of her life and pioneering work in the field of forensic science. Glessner Lee was instrumental in launching the field of forensic science through her endowment of the Department of Legal Medicine at Harvard Medical School in 1932 (the first in the country). Mystery Street is the first film to feature the role of forensics in the solving of crimes, specifically murder and unexplained deaths. Oak Park, Illinois native, John Sturges (The Magnificent Seven – 1960, The Great Escape – 1963) directed Mystery Street. It earned an Academy Award nomination for Best Writing, Motion Picture Story for Leonard Spigelgass. The film was well received by critics in 1950 and today it is considered a classic in the film noir genre. Mystery Street follows the murder of a young woman whose decomposed body is identified with the help of a forensics expert at Harvard University. Locations featured in the film include Harvard Medical School in Roxbury, Massachusetts and Harvard University in Cambridge. The film stars Ricardo Montalban as State Police Lt. Peter Morales assigned to the case. Filmed mostly on location in Boston by cinematographer John Alton (Father of the Bride – 1950, Elmer Gantry – 1960) the film has a grittiness that studio-bound productions from that period lacked. Alton won an Academy Award for cinematography for his filming of the ballet sequence in An American in Paris (1951) and wrote Painting with Light (1949), which was one of the first books written by a studio cinematographer. Tickets for this event are $15 per person, $12 for members. For more information on this event, click here. A National Historic Landmark, Glessner House was designed by noted American architect Henry Hobson Richardson and completed in 1887. It remains an internationally-known architectural treasure in Chicago. A radical departure from traditional Victorian architecture, the structure served as an inspiration to architects such as Louis Sullivan, Mies van der Rohe, and the young Frank Lloyd Wright and helped redefine domestic architecture. The Major and the Minor (1942) stars Ginger Rogers as Susan Applegate, a poor working girl who has given up on a career in New York City and decides to return home to Stevenson, Iowa. When she gets to the train station, she realizes she only has enough money to cover a child’s fare so she disguises herself as a twelve-year-old girl. A suspicious conductor catches her smoking so she hides out in the compartment of Major Philip Kirby (Ray Milland) who believes she is a child. He lets her stay with him until they reach his stop. Major Kirby teaches at a military academy and he brings "Su-Su" with him. As you might expect, Su-Su causes a sensation at the all-boys academy and causes all kinds of complications for Major Kirby and his fiancée Pamela (Rita Johnson). This was the first film directed by Billy Wilder. The film’s success helped pave the way for Wilder’s continued success as one of America’s most important writer-directors. Before the movie, grab a cup of coffee from Overflow Coffee Bar, located within the Daystar Center. You can bring food and beverages into room 102. Just when you thought you knew everything there was to know about The Wizard of Oz, here’s a book to inform you how little you actually do know about the classic film. Released during 1939, that magical year that produced so many classic films—think Gone With The Wind, Stagecoach, Ninotchka—The Wizard of Oz endeared itself to a bunch of boomer children who watched it annually on TV for decades. With the advent of video (both VHS and DVD), the film lives on with each new generation. The filming of this classic was a complicated process. Film techniques were invented, music was composed, and extravagant sets and unique costumes had to be produced to bring the magic of L. Frank Baum’s original Oz novels to life. Metro-Goldwyn-Mayer saw the success of Walt Disney’s Snow White and The Seven Dwarfs and concluded that they could produce a live-action fantasy hit. Casting the pivotal role of Dorothy was difficult for the studio. They were looking for a proven box office star. For a fleeting moment, Shirley Temple was considered, but her vocal range was limited and the producers didn’t think she was right for the part. Deanna Durbin, once an M-G-M contract player was now a top star at Universal. She had proven box office appeal and had a classically trained voice that could handle any song the composers could come up with. But bringing in a star outside of the studio would cost them more money and the production costs for The Wizard of Oz were quickly racking up. Judy Garland was under contract at M-G-M. She was primarily used for specialty numbers in some A productions, as well as being loaned out to other studios to appear in B movies. Even though she was hired for her “swing-style” of singing, M-G-M didn’t seem to know what to do with her. The studio finally agreed to give Garland the coveted role of Dorothy and the rest is movie history. The Wizard of Oz is credited (on screen) to director Victor Fleming. He was responsible for directing the bulk of the film, as well as its editing, but he was also working on Gone With The Wind for David O. Selznick. And because of Fleming’s grueling schedule the studio enlisted the talents of at least five other directors. George Cukor was responsible for Dorothy’s look. Originally Garland was costumed in a blonde wig and garish makeup. Cukor thought that this look was all-wrong for a girl from Kansas. He instructed the makeup department to tone it down and ditch the blond wig and go with Garland’s natural hair color. King Vidor directed most of the scenes in Kansas, including the scene where Garland sings “Over the Rainbow.” Vidor had a great musical sense and his filming of Garland singing while moving around the farm is truly inspired. Author David J. Hogan writes in a smooth and readable style that really hooks you. The number of facts about the film that he brings into focus are really amazing. One thing that fascinated me was the fact that all the principle actors made more money that Garland who earned a weekly salary at M-G-M. Jack Hailey, Ray Bolger, Bert Lahr, and Margaret Hamilton were all freelance actors so they negotiated contracts that paid them generous weekly salaries. Even Toto (real name Terry) had a contract that paid him $125 a week, which was big money in 1939. Director King Vidor filmed the famous "Over the Rainbow" scene. If you grew up loving The Wizard of Oz or if you enjoy classic film and the studio era, this book is a must. “Roma”: The most overhyped movie of 2018? 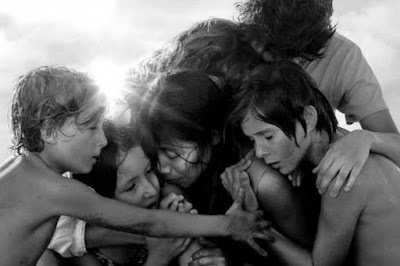 Roma written and directed by Alfonso Cuaron (Gravity) has received almost universal acclaim and is considered a front-runner for the Best Picture Academy Award this year. Set in 1970 and 1971 and filmed in black and white, it’s a semi-autobiographical telling of Cuaron’s life growing up in Mexico City. The film centers on the life of Cleo, a live-in housekeeper to a middle-class family. Cleo works in the household of Sofia, her husband Antonio, a doctor, their four children, and Sofia’s mother Teresa. Cleo is beloved by the children in the household where the marriage between Sofia and Antonio is deteriorating. During her time off, Cleo and her boyfriend Fermin rent a room instead of seeing a movie with fellow live-in maid Adela and her boyfriend. In their rented room, Fermin shows off his martial arts skills using a curtain rod (naked, which is totally gratuitous). It’s an odd scene, but a clue that all is not right with Fermin and this relationship. What happens next is a series of (inevitable) events that make the film seem more like a documentary than a drama. There is no attempt at character development. Cleo, as a character is likeable enough, but we never really get to know her outside of her tasks as a maid and nanny. Technically the film has also been heralded, especially the black and white cinematography. Why this is the case I’m not sure. Roma’s cinematography seems rather pedestrian and ordinary to me. Perhaps the folks praising the cinematography have never seen a decent black and white film before. Or maybe I’ve been corrupted by the dynamic black and white cinematography of the likes of James Wong Howe, Greg Toland, Joseph LaShelle, and Nicholas Musuraca—they’re all worth Googling if you’ve never heard of them. But the film’s biggest crime, in my opinion, is that it’s boring. I forced myself to sit through the entire 135 minutes. I kept hoping that something would happen to reward my endurance, but I was disappointed. Roma is the type of film that critics love, but that few people would pay money to see. The film distributed by Netflix had a brief release so it could qualify for the Oscars. It’s been available on Netflix for several months. Screenplay by Alfonso Cuaron; Directed by Alfonso Cuaron; Produced by Alfonso Cuaron, Gabriela Rodriguez, Nicolas Celis for Participant Media and Esperanto Filmoj; Distributed by Netflix. 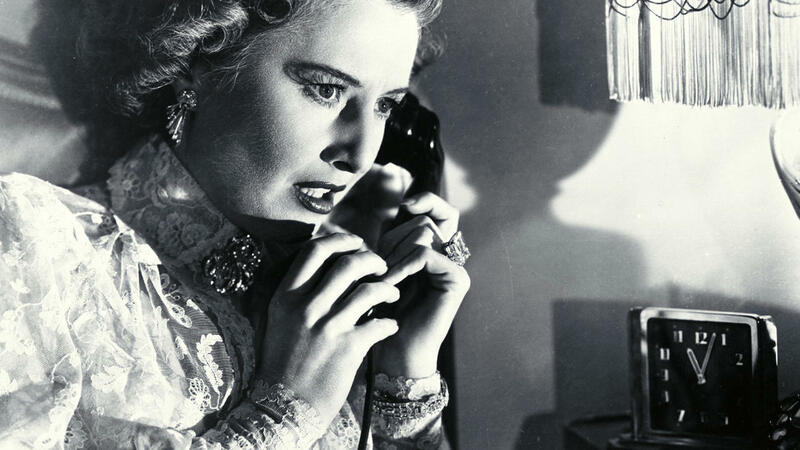 Sorry, Wrong Number (1948) is based on a popular radio play—one of the most popular radio plays of all time—that stars Barbara Stanwyck as Leona Stevenson, a spoiled, rich, bedridden woman who accidentally overhears a plot to murder an unidentified woman. 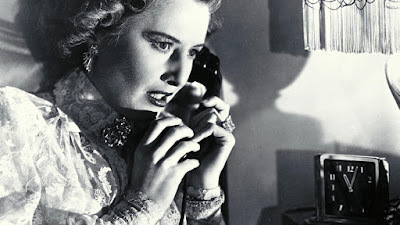 In her attempt to report the incident to the police, Stanwyck begins to suspect that it is her husband (Burt Lancaster) who wants her murdered. The role of Leona was a tour-de-force for Stanwyck, earning her an Academy Award nomination—her fourth—for Best Actress. 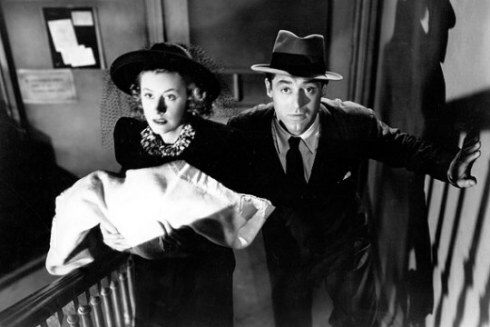 Penny Serenade (1941) stars Irene Dunne and Cary Grant as a couple on the brink of divorce after a tragic event in their lives. While preparing to leave her husband, Julie Adams (Dunne) listens to some old records that take her back to the early days of her relationship with her husband Roger (Grant). 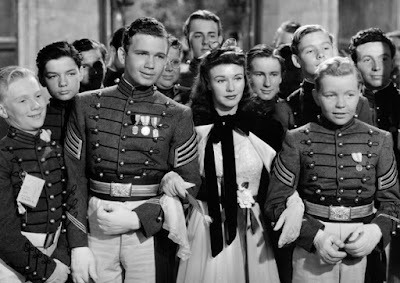 Balancing laughter with tragedy, director George Stevens (A Place in the Sun, Giant, Shane) strikes all the right notes with this sentimental classic. The excellent supporting cast includes Beulah Bondi and Edgar Buchanan. Grant earned his first Academy Award nomination for Best Actor in a truly moving performance.